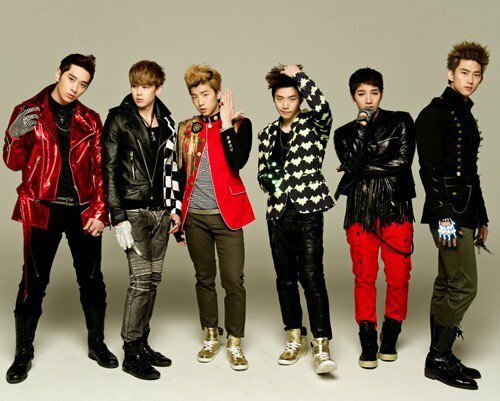 Which girl band anda prefer 2PM to be with? who do anda like in 2pm? What Filem have 2pm's members been in????? On November 13th, Korean group 2PM’s Nichkhun (23) announced that he will make his Japanese movie debut in the upcoming movie version of popular drama, ‘Ouran High School Host Club‘. This movie is based on a Manga of the same name. It is a romantic comedy centered around a popular host club at ‘Ouran High School’, where the female student Haruhi (Kawaguchi Haruna) has to disguise herself as a male host to repay a huge debt. Nichkhun will play the older brother of Michelle, an international student played sejak AKB48’s Shinoda Mariko (25). jay Park recently made an appearance on the November 10th episode of "Talk tunjuk Taxi" on tvN. He talked all about his family, career, and his ideal girl. The interview touched on some topics and issues that were quite personal such as the reason he left 2PM and his feelings were when leaving Korea. While dominating the Muzik charts with #1 spot on Japanese Muzik charts with ‘Take Off,’ 2PM also managed to dominate ticket booth sales as they quickly sold out all the seats for their Japanese konsert tour. Well, the tour is over now and it has reportedly been a huge success. Korean singer and the former leader of boy band 2PM link later this summer, according to a press release telah diposkan on his official website (www.jaypark.com/fanmeet.html). The singer, who is currently in Korea shooting the b-boy film "Hype Nation," will meet with his peminat-peminat in eight Asian cities, starting with the Seoul peminat meet on August 28 which will continue onto Taipei, Shanghai, Hong Kong, Thailand, Philippines, Malaysia and Singapore. This will be the first time in nine months that Park visits Korea since he left due to controversial komen-komen allegedly about Korea last September. I was Membaca up somewhere that Junho will be replacing Jae-bum. But I have confirmed itXD...after several hours of searching, I went to there official site and here's the information for anda all. Ahead of the conference with peminat-peminat to be held this weekend, JYP releases a shocking announcement on member Park JaeBum on its official website on today that link. 2PM beat out popular artists such as Lady Gaga and Black Eyed Peas with the release of their Thailand Special Album back in June. Despite the turmoil with Jaebeom, 2PM's popularity in Thailand is still very strong. Speaking of turmoil, if anda can recall, back in August TVXQ was also selected as the Most popular Asian Artist 2009 on Thailand's Channel V Muzik Video Awards. can anda Hottests sertai my group? a poll telah ditambah: My bahagian, atas 5 2PM songs; which is your favorite? a comment was made to the poll: Who's your kegemaran Member? Who was write the song Give it To Me in Hands Up album?